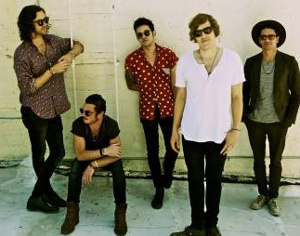 California indie-rockers TERRAPLANE SUN have announced the addition of three East Coast tour dates with Imagine Dragons - starting in New York and wrapping up in Cleveland at Jacobs Pavillion. Terraplane Sun is gearing up for the release of their new EP Ya Never Know, which drops via Trauma 2 Records on July 16th. The band also recently premiered their new music video for the single "Get Me Golden," which is included on the new EP. This will not be Terraplane Sun's first support stint with indie-pop heavyweights Imagine Dragons, as the band recently opened for them at the Hollywood Palladium back in May.